Art Workshop students celebrated spring by creating flowers (and other creatures) in many different mediums. Featured on their invitation are works in Acrylic as a watercolor, pastel, and ballpoint pent. In the last three weeks, they created 3D works in paper and modeling clay, and a final painting in acrylics on canvas. Come and enoy the works of these 11 artists on Sunday, May 7th from 6-8 pm. Their work will be featured in a spectacular collage in our classroom. All are welcome! “Young at Art” artists have been studying the face, using photographs of themselves. Most artists use self-portraits as a way to learn and express themselves. 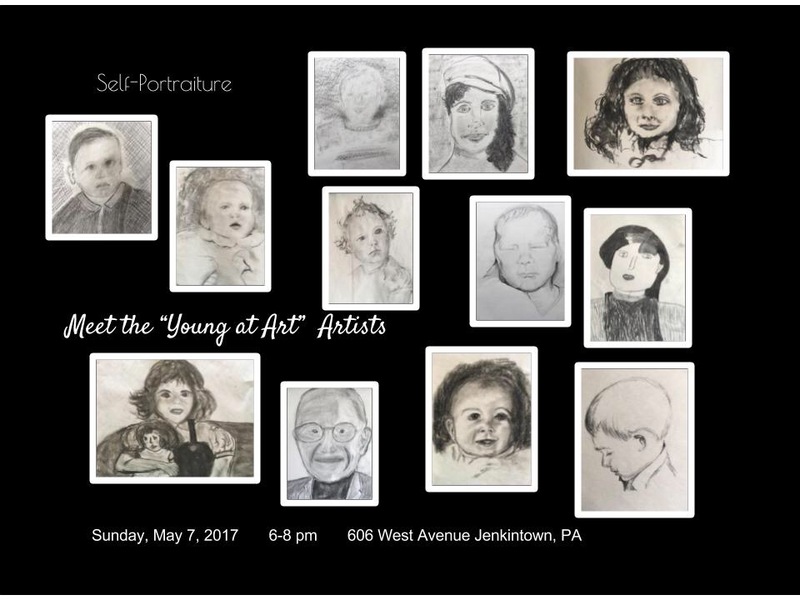 These 12 artists of varyling ages and art exposure have been working in pencil, charcoal, pastel and black and white pencil. 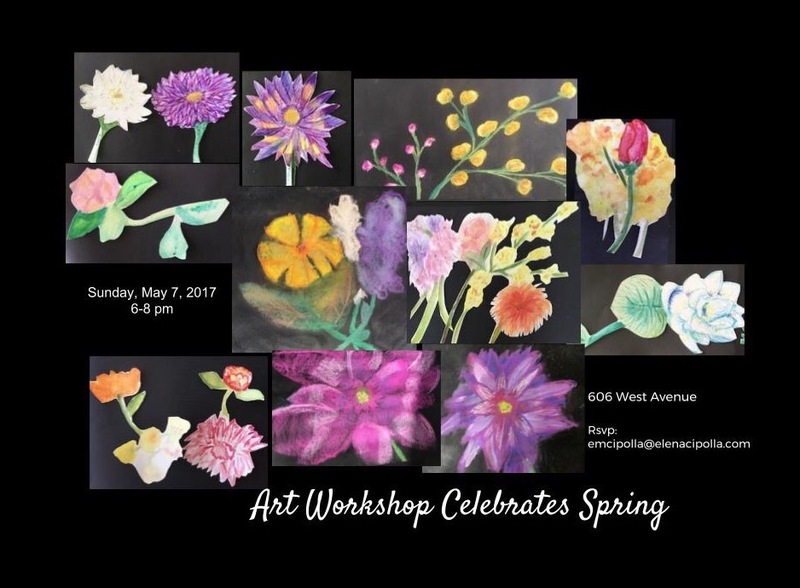 Their work will be featured also on May 7th, along the hallways of our second floor classroom.